This serves to indicate that the barrel buffer must be constructed very ruggedly. Buffers for applications of this sort arc usually constructed intentionally so that there will be a considerable energy loss during the buffing action. 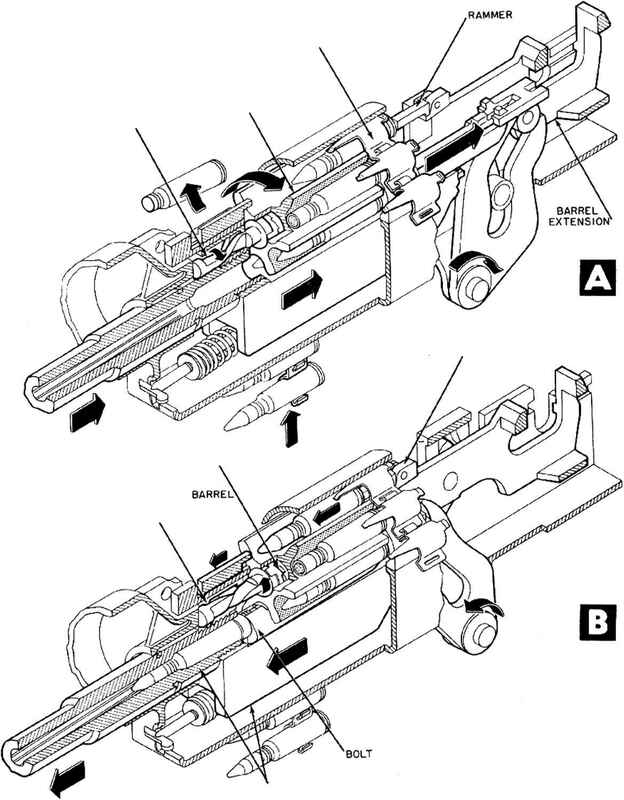 This is done in order to damp out undesired motion of the barrel. In a well-designed buffer, the energy loss can be as high as 70 percent; that is, the kinetic energy* of the barrel after its motion is reversed will be only 30 per cent of the energy it contained upon first striking the buffer.